We are local SEO consultants that offer Internet Marketing services to businesses in the greater Orlando Florida area. If you are looking for a search engine optimization specialist with over ten years of providing quality SEO services, then look no further. You can buy our digital marketing services separately or buy them as a package and save 20% or more. Our SEO experts will work with you through every step of your online marketing needs. We will design, build, and launch your website, write your website copy for best search engine optimization results, build external back links including submission to directories, writing and submission of articles and quality link exchanges. Orlando SEO Pros digital marketing consultants will setup and manage your paid search marketing to ensure your business gets the maximum exposure you can afford. We will create and distribute email newsletters and promotions as part of our internet marketing package. We will build a plan around your advertising budget. For as little as $499 a month we can get you listed on the first page of Google and drive qualified traffic to your site. Ask about our search engine marketing packages today. We can have your new marketing campaign up and running in as little as 5 business days. Now that’s Fast!”We are here to help you through every step of the process and are only an email or phone call away if you have questions or need advice.”We create fully customized programs to fit your business goals and budget. You can get started today for just $499 a month. Has it been a while since you had your company website redesigned or are you looking for an web design company to design your first site? 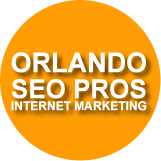 Orlando SEO Pros works specifically with WordPress to design your business web site. You can pick from hundreds of beautiful prebuilt WordPress designs and let our web design experts add images, copy, and many other customization’s that will make your web site look as good as a website that cost ten times the amount but for a fraction of the cost. Are you struggling to get your local business into the local search results on Google, Bing, and Yahoo? Does your business need more qualified traffic, phone calls, and leads? We offer local Orlando SEO services that include local citation creation in Google+, Yelp, Yellow Pages, and many other business directories. We provide one time audits, campaign development, and full paid search management in Google AdWords and Bing PPC Ads. Our pay per click company will audit your paid search accounts to ensure you are getting the most from your investment while capturing the most qualified traffic possible. We are digital marketing consultants That Are Here To Save You Time and Money. Contact Us Today for A Free Evaluation. With more and more customers being reachable online, it isn’t surprising that companies are starting to jump in the bandwagon and form their own websites. However, internet marketing is a very different sector of the marketing industry and requires the presence of special SEO services in order to propel a company forward. With millions of companies clamoring for attention, SEO services would help a business achieve excellent presence on the internet. Of course, those are the most obvious reasons why SEO companies are being sought when in truth; there are various grounds for seeking the help of an SEO specializing company. Obviously, higher rankings would mean more exposure and more business. Always arriving on top of the searches or at least within the first few positions would equate to more exposure, allowing prospective clients to find your business and eventually lead to more sales. In relation to number one, higher rankings would obviously lead to better sales, considering the fact that more individuals would find and order through your business. It is known that natural traffic converts higher than paid traffic as most users trust the natural search listings more. Being constantly seen on the internet and showing up in related searches, companies have the chance to put forward new products or services to the market. In most cases, businesses would have to pay for advertising privileges but with a high ranking site, the expense can be easily be returned in sales. Once you achieve a high position in the engines, you will receive free traffic 24 hours a day which is great ROI. If a company is seen at almost every related search, then this gives consumers the perception that the company is currently the “top” in its field to the point that it becomes a household name familiar to everyone. This eventually helps word of mouth sales as you are top of mind when people think of your service offerings. The method in which search engines crawl through the internet when narrowing down keywords may change from one moment to the next. Although most companies may not be privy to this information, SEO services have an accurate perception of the methods and how to effectively tailor a company’s SEO strategy to accommodate the search engine. Marketing for a restaurant is different from advertising for a clothes store. SEO services consultants are aware of this fact and have the proper tools and knowledge to build a marketing strategy that will ensure a website ranks well. SEO is controlled by many factors – both controllable and uncontrollable. Hence, emerging companies usually have a problem grasping the concept, making it vital to acquire the services of one who does. The information freely found on the internet today about SEO is not everything there is to know about the subject. There is in fact, more in-depth understanding behind internet marketing strategy and SEO companies are privy to this type of information. Believe it or not, SEO requires an extreme amount of work and investment. Companies who attempt to build their own site using their current workforce will find themselves having to struggle with manpower that could seriously reflect badly on the business. Again, an SEO company that has been in the industry for a long time knows tips, trick and techniques that starting companies can’t grasp. Consulting the people who make it a point to learn more about SEO is vital – especially if a one wants his or her business to rise to the top of the search engine results. by Shawn Hickman – Contact shawn@seopros.us today to learn more. At its most simple, Pay per Click or PPC as it is known and as the name suggests, is a way of advertising on the Internet where the advertiser pays for their ad when their ad is actually clicked on by an Internet user. As it hasn’t been around for that long, many people still don’t understand how Pay per Click works or if Pay per Click is something they could actually benefit from. If it’s managed properly, a Pay per Click campaign can be highly lucrative. Pay per Click search engines are those search engines that offer the Pay per Click option. When an Internet user runs a search on an Internet search engine, say Google for example, which is one of the most popular Pay per Click search engines on the web, they will obviously put some key words or phrases relating to what it is they are searching for. When the results page appears, they will also see some adverts appearing on their search page. If they then click on these Ads and are taken to the landing page of the advertiser, the advertiser will pay the amount they originally bid on the particular key words or phrases. Of course there’s no guarantee that by arriving at the landing page the Internet user will actually engage and sign up for or buy something, that will then depend on the appeal of the advertisers website. The fact that someone clicked on the ad is enough to generate a fee. If a content website or blog chooses to display Ads on their website, advertisers will usually pay a fixed amount for the keywords as opposed to a bid. Again, they will only pay when an Ad is clicked on. Basically when setting up a Pay per Click campaign you would have to choose your key words, decide how much you are willing to pay and which search engine or search engines you want to go with and then open an account with your chosen search engines. The greater the market coverage of the search engines the higher the price you are likely to pay. Different search engines will have different ‘rules’ or guidelines concerning the Pay per Click ads you can place. Generally though, they will consist of a short title and description of what you are offering along with a link to your website. This title and description has to be relevant and is subject to review before your Ad will be accepted. Obviously, the particular search engines you want to go with and the key words and phrases that you choose are of the utmost importance if you want to have those click throughs to your site. When bidding on your chosen keywords you will pay more for popular keywords. It is you that decides what the maximum amount is that you are willing to pay for any particular keyword. Those who pay the most will appear higher on the search pages. The price of keywords can range from pennies to pounds or cents to dollars and will vary from country to country. A properly managed Pay per Click campaign will increase click throughs (traffic to your site) and the number of conversions (those who actually become customers) which will give you a greater return on your investment.